In addition, ronsmap enhances the value of the leads generated from within the social networks by accumulating the information gathered through their SellersVantage application. In addition to the anticipated name, IP address and vehicle information requests their new Intelli-Leads include the online shopping selection and vehicle preferences of the initiating car shopper and the comments accumulated by his online network of friends. These enhanced leads allow the auto dealer to anticipate the needs of their potential customers before they open negotiations with them. As a result, the consumer is provided a more relevant and transparent vehicle selection in response to their initial inquiry and the auto dealer has a competitive edge to quote the best price on the best vehicle for the consumer. This is a win-win scenario that increases closing ratios and profits for the auto dealer while offering the consumer the advantage of the information and referrals he gathered from his online car shopping experience. The internet is far superior to conventional media on many levels and social networking is only one of the newest reasons. Automotive advertising agencies must be prepared to direct their clients beyond marketing through social media. They must also provide more than advice on search engine optimization, S.E.O., search engine marketing, S.E.M. and banner ad placements or transparent and relevant website designs. The search engines hold the key to the Internet and understanding the algorithms that determine the rules of the road on the Internet Super Highway that they control are the responsibility of the automotive advertising agency. Google, for example, has clearly stated the weight that they place on video vs. copy or other means of online digital marketing. Today’s Internet consumer grew up watching television and the explosive growth of YouTube proves that their preference for video has survived onto the World Wide Web. One vendor that has listened to Google and their subsidiary YouTube is SiSTeR Technologies with their Video CarLot platform. SiSTer is able to take the existing pictures and vehicle information posted on an auto dealer’s website and convert them into professionally produced videos. More importantly, their videos are fully index-able with multiple schema layers making them interactive and more transparent to the online car shopper. These videos are placed on the auto dealer’s website as well as any third party advertising sites that the auto dealer is linked to. In addition they are driven through a dedicated API to YouTube with individual URLs that extend the reach and frequency of the dealer’s inventory and marketing messages — a proven formula for success in conventional automotive advertising that also applies to Internet advertising. Working with an assortment of rapid prototyping equipment, automotive prototyping engineers utilize the most advanced 3D printers, in their quest for perfect form, function and utility. Working in advanced manufacturing centers, the automotive engineers use the technology to verify what they are doing, and, equally important, to save tremendous amounts of time, and money. The advantages of 3D rapid prototyping model creation versus viewing a cad/cam model on a computer screen is palpable. Automotive parts engineers get together discuss the pros and cons of a rapidly produced automotive parts model and discuss the pros and cons of the design, as they pass it around, twisting and viewing the prototype, and decide if that is what they had in mind. This way, problems get solved up front, before going to the assembly line! Once determined that the automotive prototype design is a go, the model can then be sent to a die maker. The die maker cannot use model to make the die, but because they have it in their hand and can look at it and feel it, they can determine where the parting lines will be and exactly how much steel they will need to produce it. The timing of the die process is greatly compressed. The automotive rapid prototyping paradox is to fail earlier rather than later. By failing earlier, the design engineers surprisingly succeed in accelerating the project; this greatly reduces development cost risk. By considering all automotive prototype failures as learning experiments, the engineer has much less stress, knowing that they are practicing the old adage, that success comes from ninety-nine percent failure and introspection. Manufacturing engineers are those involved in making and building different automobiles, while development engineers are those who were involved on the different attributes of a sedan that includes speed, durability and performance. On the other hand, production engineers focus more on the design systems and components of a vehicle. It also involves designing and testing of the vehicles’ parts and includes coordinating tests to make sure that all automobiles meet the national standards set by the government. Automotive engineers have several responsibilities and job description that they need to comply with after completing all their trainings. As they finished the degree program of this course, engineers can now design the car’s systems and components. They also need to determine the best attributes for a specific sedan or for a future vehicle. They also need to develop codes and standards for a well-organized manufacturing. Automotive engineers must determine the costs and implement the procedures to lessen the production costs. They are also expected to introduce and develop new strategies and systems for the production of automotives. In addition, they also need to make sure that they follow the government regulations during the process of the making a vehicle. Aside from developing and designing, they also need to determine the drive ability of the each vehicle. They also need to implement quality procedures and control strategies. When there is a problem, they also need to solve all the troubles in automotive engineering. Lastly, they must conduct statistical analysis as required. All the graduates from this course can have several career options like vehicle manufacturing engineer, operations research, systems engineer, vehicle dynamics controller, performance engineer, noise, vibration and harshness engineer (NVH), emissions controller or research and safety engineering. McLaren Mercedes SLRA front-mid (FM) engine sits just behind the front axle, and combined with rear-wheel drive gives a better weight distribution than a front-rear (FR) car, where the engine is over the front axle. Examples include the Maserati Quattroporte, Mazda RX-7, Mercedes-Benz SLR McLaren and Dodge Viper. Porsche 911 CabrioletThe Porsche 911 is the most developed rear-engine rear-wheel drive car in the world, having had over 40 years of incremental iterations to hone its engineering. Rear-engined cars are where the centre of gravity of the motor is behind the rear axle. They’re notoriously difficult to make stable because the engine acts like a pendulum, meaning once that back end steps around it’s more difficult to control than an excited puppy. Toyota CelicaFront-engined, front-wheel drive cars (FF) are the safe choice for the average motorist. They understeer when pushed hard, and they give more room in the cabin because the cars don’t need a transmission tunnel through to the back wheels. Most family cars are FF. Toyota SupraFront-engined, rear-wheel drive cars (FR) are the choice for many a sports car and muscle car. Common cars include the Toyota Altezza (Lexus IS200), most BMWs and Mercedes saloons/sedans, and the Corvette Z06. 4WD School BusFWD gives the ultimate grip, but saps engine power with all the extra moving parts. Some cars have viscous centre differentials so that power is channeled only to either the front or rear unless they start to skid, then the diff apportions more power to the other wheels. A Crosshead is one such piece. A crosshead is usually a large piece of metal and is shaped like a T or a cross. There are openings at each of the four corners, and the inside of the crosshead is hollow. The crosshead serves several functions, and is most often seen on the largest of motors. The basic idea of the engine is that the piston moves up and down according to the combustion that takes place within the engine. The piston’s movement also impacts the crankpin, which in turn moves the crank and begins the motion of whatever the engine is designed to move. The movement of the piston and the crank also generates a great deal of side to side movement on the engine. This can create a lot of extra wear, and can reduce the life of the engine quite extensively. The crosshead operates by reducing the side to side movement of the piston and eliminating a great deal of the friction that can cause a great deal of the problems associated with engine wear. A crosshead is basically used to guide the motion of the piston and the crank/crank pin so that the motion is more fluid and does not move side to side. An additional benefit with be the added efficiency of the engine. Because the force is no longer lost from the side to side movement, the engine can work completely going forward. There are many components to a successful car rebuild, but the most important component is the knowledge and education that will be required to put the whole thing together. Let me explain the difference between a long block and a short block engine so you understand why this is important. Long Block – a long block engine is the actual block with cylinder heads, all accessories from old engine must be used unless otherwise approved by your ASE (Automotive Service Excellence) certified mechanic. All new and rebuilt engines may require you to use your existing accessories off your old engine (alternator, starter, oil pan, alternator, intake manifold, exhaust manifold, power steering pump, and the air conditioner compressor ) unless you negotiate otherwise during the purchase of your engine. Short Block – a short block engine is part of the engine block located above the oil pan, but under the head gasket. A flathead engine will have the valvetrain and the cam included. The overhead valve engine will not include the parts mentioned above. A short block is in most cases ordered to ungrade the bore, piston, or water jacket. The assembly will usually include the crankshaft installed balanced along with the main bearing. A short block is no good when it warps or cracks. Don’t be surprised to be hit with a core charge when getting ready to place your order. This is another fee that is seldom brought up until you’re ready to place the order. Although this charge is refundable, it may surpass what you can afford. These charges can be $100 to $1,000 or more. The core usually requires the block and heads intact and there is to be no cracks on the blocks or heads. In some cases the company you purchase an engine from could be buying your engine from a different state. Not only can this cost more in shipping fees, but you may be waiting weeks before delivery. Always follow up to track your engine. If they tell you they can’t give you a tracking number but it’s on the way, be advised: this usually means the engine hasn’t been shipped at all. The invention of pure gasoline (not to be confused with Diesel) dated back to the Gilded age with the distillation of oil to kerosene. At first, there was no used for gasoline because cars were not invented and most transportation uses steam as its sources of energy. Therefore, it was discarded. Gasoline finally became a valuable commodity, with the introduction of Henry Ford’s affordable car in the 1920s known as the “Model T.” As time progresses, we saw an improvement in refining gasoline and creating a purer fuel that would make cars go faster. Increasing the purity of gasoline meant that the octane level must be increased, so lead was added to improve engine performance. The Octane rating tells us how much air and fuel mixture can be compressed before being ignited. The higher the octane, the more compression the fuel can withstand before detonating. However, leaded fuel was bad for the environment, so there was another development that leads to unleaded fuel. Unleaded gasoline was introduced in the 1970s when health problems from lead increased. Unleaded gasoline also guaranteed the conditions of important engine parts like the intake valves and fuel injectors; that would help improve fuel economy and performance. In today’s gas filling stations, we will see that the stations are required to carry Unleaded benzene gas. The octane rating of the gas we commonly see is 87, 89, and 91. The most standard unleaded fuel are rated at 87 octanes. It was designed for most normal cars that doesn’t require much power, but it is still powerful for small cars on the road today. 89 octane stands in a higher tier than 87, but still could not compete with 91. It has a faster ignition capability that is suited for some small sports cars, like those made in Japan and America. The King of the Hill that beats all consumer-grade fuel is 91. Octane 91 is the premium grade unleaded fuel that meet the demands of some of the today’s most advanced engines. It has an octane level of 93, but it is blended with an octane level of 91. We can see that the most demanding European cars and supercars are required to refuel with this type of fuel, in order to achieve full performance. Inside the Golf, you can have the choice of leather or material id say a lot of people will go for leather just because it makes the car so much better for looks and when you try to sell it. When you think of Volkswagen you will most likely think of the classic beetle since it is the car that really introduced the Volkswagen logo around the world. The first Volkswagen car was designed in 1934 by Ferdinand Porsche as a method of cheap reliable transport. 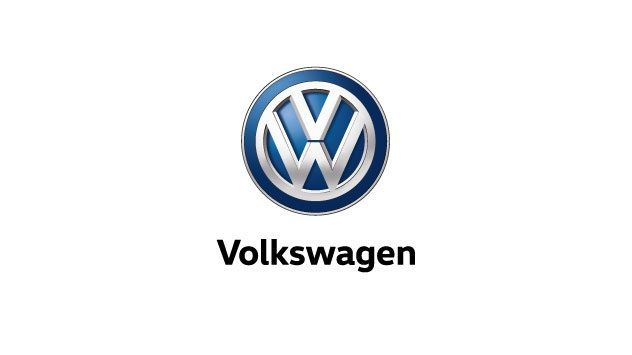 Through the years VW has become a global force in the manufacturing sector getting bigger and bigger with every new design. Not too long after the beetle had been created and unveiled the Golf was released. The first generation of Golf or the rabbit as it was called by the Americans was launched in 1975 and was stopped in 1984. Through the years the Golf has gone from the original square body shape and gradually over the years become streamlined and round the first Volkswagen Rabbit GTI was a very square body compared to the new golf introduced in 2006. Through the years the Golf has been fitted with a bigger engine but in addition, has gained more weight the biggest engine that Volkswagen released in the Golf was the impressive Golf R32 with the 3.2 V6 engine in the front. The R32 is the most powerful of the whole Golf range because it is 4wd and it has 237BHP which isn’t that great for a V6 I would have expected a lot more from Volkswagen.